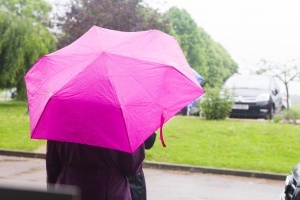 The grey clouds and rain didn’t dampen the spirits of the Look Good Feel Better supporters who showed up in their hundreds to walk the SWALK last Sunday – raising £30,000. During the Saturday Breakfast Show [first broadcast 11 June 2016] we had an insightful discussion with Carly Boyt, PR and Communications Manager for Look Good Feel Better, the only global cancer support charity created to help women combat the visible side effects of their treatment. This confidence-boosting service is available in 26 countries and collectively the charity has supported more than 1.7m people to date. 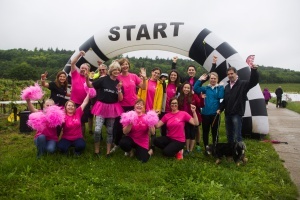 Over 300 people and plenty of dogs took part in the sponsored walk, which started and finished at Denbie’s wine estate in Dorking. 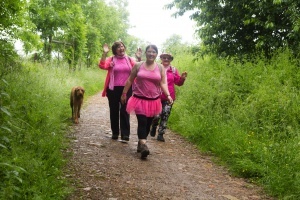 Participants had the choice of walking 6KM or a slightly more challenging 12KM whilst taking in views of the beautiful countryside. 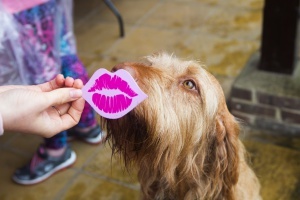 The national charity was joined by beauty bloggers and LGFB ambassadors, Lily Pebbles and Anna Gardner and Jane ‘Mummy’ Felstead from Made in Chelsea. 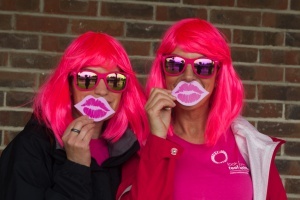 After the walk, visitors dried off in the Beauty Hall where they could receive a make-over, have their nails painted or win some great prizes. Money raised from the event will enable Look Good Feel Better to support even more women through their free confidence-boosting skincare and make-up Workshops and Masterclasses.